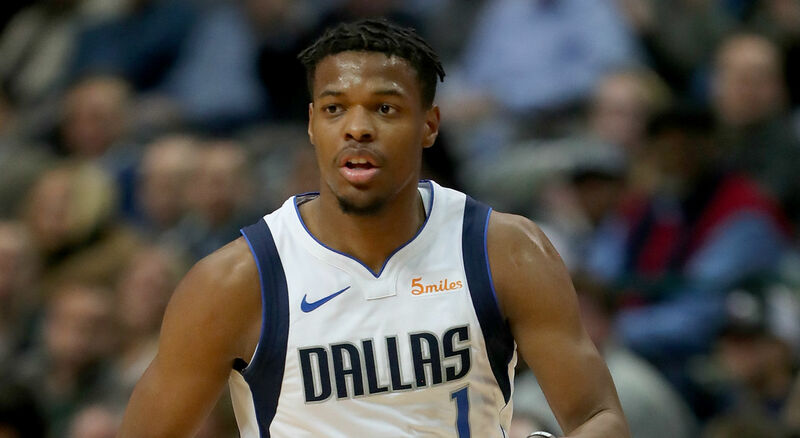 The Mavericks aren't ready to move on from Dennis Smith Jr. just yet and the guard isn't asking to be traded, either, according to The Athletic. Sources: Dallas‘ Dennis Smith Jr. and top team officials have talked in past several days and had positive communication. Mavericks maintain Smith has been positive teammate and competitor. Smith hasn’t made trade request. Dallas is optimistic it will be able to reconcile with the 21-year-old point guard, despite Smith's frustration with the organization. One unidentified source told ESPN, "Plan A is still to fix this." The Mavericks insisted they will not trade their 2017 lottery pick unless they get "good value" in return, according to the report. Filed to ESPN, story posting soon -- Mavericks are optimistic that they can reconcile and move forward with point guard Dennis Smith Jr. and are insistent that they won’t trade their 2017 lottery pick unless they get good value in return, sources told ESPN. "(Smith) is frustrated with his role as Rookie of the Year frontrunner Luka Doncic has seized the reins of the offense and has had friction with coach Rick Carlisle, sources said. "Smith has not played in the last four games under suspicious circumstances, sitting out three games due to what the team announced as back soreness and having his agent call in sick for him before he missed Tuesday's practice and Wednesday's loss to the San Antonio Spurs. "Smith's poor decision-making and his tendency to over-dribble have been sources of frustration for Carlisle, sources said, but such growing pains are typical for young players." Smith's status for the Mavericks' upcoming road games at Indiana and Milwaukee is unclear, though Carlisle told reporters Tuesday that Smith was battling a stomach bug and wouldn't practice. The product out of N.C. State, selected with the ninth overall pick in the 2017 draft, has been averaging 12.6 points while shooting 44.3 percent from the field in 27.7 minutes per game this season.